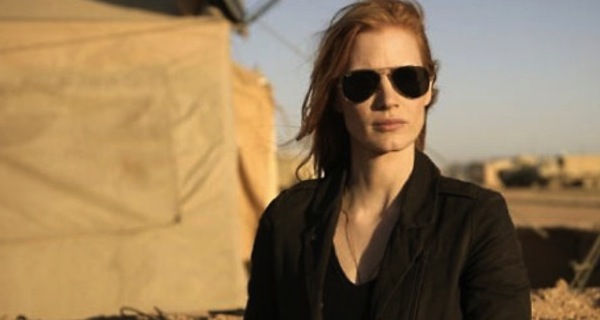 Deadline is reporting that Oscar nominee Jessica Chastain has joined Christopher Nolan’s upcoming sci-fi flick Interstellar. The actress will star alongside Matthew McConaughey and Anne Hathaway in the highly anticipated film, which is set to touch down in theatres on November 7th, 2014. Details on Interstellar are hard to come by but we do know that it will be based on a script by Chris’ brother Jonathan and that it will deal with time travel and alternate dimensions as it brings us the story of a group of explorers who embark through a wormhole on “a heroic interstellar voyage to the farthest borders of our scientific understanding.” Oh, and there will also be lots of native IMAX footage. So there’s that too. After working with directors like Terrence Malick, Kathryn Bigelow and John Hillcoat, Chastain is at the point where she can pick her own projects. In all honesty though, I would have never expected to see her working with a director like Christopher Nolan. Not that it’s a bad thing, mind you. I mean, Chastain’s resume is damn impressive and since breaking out in 2010, she’s done some fantastic work. She’s certainly one of the most exciting “new” talents out there and though her role in Interstellar is unknown, you can be sure that it will be a meaty one. I haven’t been let down yet by a performance from her and she’s got some very big projects on the horizon. Nolan’s film will no doubt be another excellent credit that she can add to her ever growing resume.